What gentle giant stands around 2m high, has soft doe-like eyes, long eyelashes, even longer ears, can turn into an exotic warm jumper, carry your pack on a bush walk, can be harnessed into a cart, and chases foxes away? You got it… it is the larger relative of the alpaca – the llama. 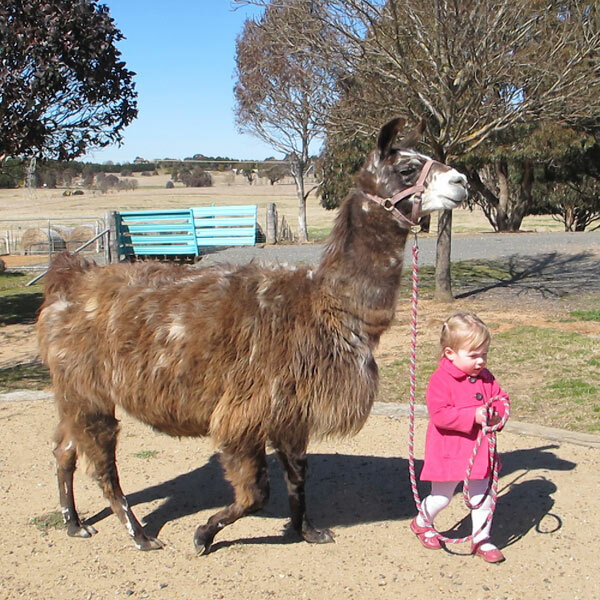 how to have fun with your llama – what can you do with a llama? The workshop is for multiples of 4-hour sessions. How many sessions depends on what you would like to learn. 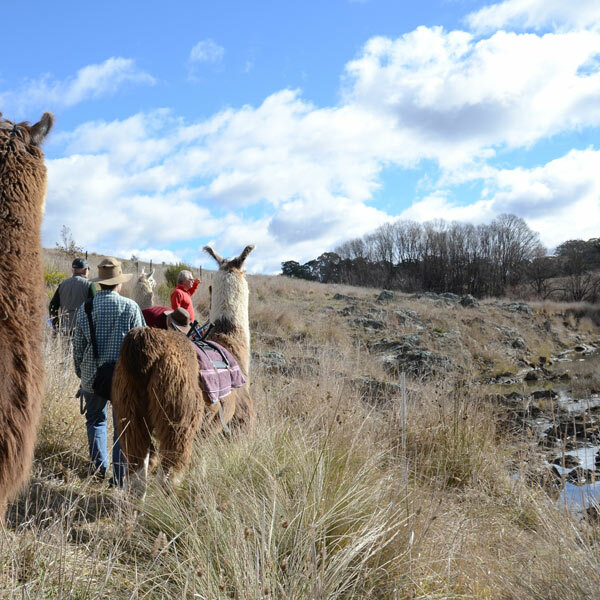 We can also show you about handling and training llamas. Bring you own llama or use one of ours. If you are not ready to own an alpaca or llama, you might like to check out Adopt a Llama and Volunteering at Alpaca Magic.